LXXIV: The Best Duos That The Television Has Ever Seen? Now, if you know me at all, then you know that my favorite show of A L L T I M E is Living Single. Yes, the show that everyone else’s favorite show “Friends” copied. That’s the show. Anyway, Khadijah is the main character played by none other than the Queen [Latifah] herself! And, the woman who is basically me but with a better body, Maxine Shaw [Attorney At Law] is played by the beautiful Erika Alexander (who deserves credit for life for her role as Max). Their friendship throughout the five seasons of this show has been hilariously beautiful to watch. It is legitimately what I strive for in any friendship that I have: it has the loyalty, the honesty, the love, the appreciation, the laughter, that tears, and the realness that is definitely hard to find in people these days. If you took a gander at my post on Creed II, then you know that a big part of why I love the Creed and Rocky movies has to do with the respect and love shown within the relationships between the characters. Rocky and Adonis had a dope relationship filled with respect and admiration for each other. They were able to push each other to limits unknown, and to be there for each other through situations neither of them could have foreseen. Second, Naruto and Sasuke HATED each other (and also loved each other), but this was a huge motivating factor for them to grow stronger. They challenged each other and grew just so that they could beat/kill each other. What better friendship could there be?! No, but really, I like these two because I am a firm believer in helping friends grow no matter what. I will not take on the responsibility of being someone’s friend just to leave them in the same (nor a worse) position that they were before they met me. I definitely saw that same quality in the relationship between Naruto & Sasuke. If this season of Grown•Ish doesn’t have your attention, then you just don’t want to know what does. Apart from the amazing hair styles and daring outfits, the issues that this show tackles in every episode are phenomenal (just like Black•ish). These writers and EPs do not sleep on the issues. But, what I love most about Zoey and Luca is that their relationship is one of the more authentically depicted relationships on television. I like that Zoey gets insecure (all the time); I like that she compares her relationship to those that she sees around her (because that is real sometimes); I like that Luca literally rides for Zoey and thinks that she is the most “fire” person on that campus; and I love that they draw inspiration from and motivate each other. What a R E A L B O N D.
Talk about opposites being brought together by a tragic situation and bonding, rebuilding and growing together! Grace and Frankie are the epitome of friendship and loyalty. They accept each other for all of the things that make them different and unique. They’ve learned each other’s ticks and work around or with them. They’ve learned through fights and misunderstandings and their bond has become all the more stronger because of it. I think that this is a show that I watch over and over simply because of the bond that these two created over the course of 5 seasons. XXXIX: Why Aren't You Watching Insecure? I obsess over good shows and good food. 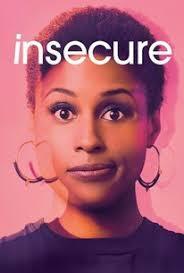 You will mostly catch me watching re-runs of The Fresh Prince of Bel-Air, Girlfriends, Living Single, Boy Meets World, or Martin, but I've added HBO's Insecure by the magnificent Issa Rae to the list of brilliant television reruns that I frequent. In honor of this creative genius, and, of the miraculous return of her show, I felt it necessary to do a slight recap of the former seasons and give you a taste of what's to come and my predictions for the new season. In season one, we are introduced to the wonderful, and awkward, world of Issa Rae. We start out at her job where the kids are hounding her about her personal life instead of getting the help that We Got Y'all offers. She works for a non-profit organization that is supposed to help out within the "at risk" communities and provide resources that will help them get through school and beyond, but she finds herself struggling to say anything that will actually keep their attention. Issa has been in a five year long relationship with Lawrence who is played by Jay Ellis. He has, however, found himself on the lower end of the motivated totem pole as far as employment options are concerned, so their relationship seems to be taking the blunt of that blow. Issa struggles with deciding to break up with him and just not coming home each day, but her best friend, Molly (Yvonne Orji) does her best to convince her that this dating game is not as much fun as you think it is. Molly is a successful Black woman that can connect and mingle with just about anyone. Her only problem is that she wants a man but can't find one that checks off all of her boxes. In this season, we watch Molly go from dating randoms, to dating apps, to Enterprise guys and back to no one at all. Daniel (Y'lan Noel) is a character who we get to know fairly well. He is an old friend of Issa's who comes in and shakes things up a bit! Season one introduces themes like: relationships, dating, race, gentrification, youth outreach and engagement, and so much more! This season, we see Issa try to navigate and even conquer singledom all while attempting to make a good impression on her boss at work, check up on her ex regularly, and maintain her friendships with her friends Daniel, Molly, Tiffany and Kelli. Although she still turns out to be just the same wreck that she's been, it is a thrill to watch her attempt to change her life's pace. She begins to explore dating apps and even neighborhood relations. All of this occurs between lies to herself regarding her love for her ex Lawrence and attempts to check up on him throughout the season. Eventually, they get the closure that they've longed for and they come to terms with the fact that their relationship is over and apologize for all that they've done wrong to each other. Molly starts out doing much better in the dating world. She is less pressed about dating and more pressed about working hard to getting a promotion. Her focus is shifted when she runs into an old friend and begins a whirlwind of a relationship with him -- one that she struggles to deal with and find a way out of. This season tackles wage differences/gaps, discrimination, dating, marriage, friendships, and much more all while focusing more on Issa and Molly's work lives and the stressors that they face while there. We are one episode in and I have so many questions! Last season, we left off with Issa deciding that living with her brother simply was not going to work out, so she showed up on the front door of her ex-Achille's [crotch], Daniel. Issa and Lawrence finally got the closure that they so desperately needed and we have seemingly seen the last of him. Molly was finally taking the "should" out of her life and finding out what could actually be and Daniel was being the good friend to Issa that he's always been, despite their rollercoaster of a friendship. What we left unanswered, however, was who's shoes were those at Molly's place when she answered that phone call because I completely thought that they were Quentin's, but all we got this episode was some rando on an island and Dro! We see Molly trying to act like she's not pressed over her situation with Dro, but clearly she is, so I imagine we will watch another season of her getting her feelings hurt. Another unanswered question was, WHERE WAS TIFFANY DURING THE DUE NORTH FINALE? Her husband surely thought that she was at Issa's house, but she wasn't. It's clear that there is a secret between Tiffany and Kelli that Issa and Molly are not privy to just yet, so I am waiting for this to unfold. Daniel, there's so much that you're not saying! But, oh so much that you are doing. Daniel is doing the most this season and showing a low level of "care" for Issa's thoughts and feelings on it. I predict that he will come out eventually and say what he's feeling. Issa's job has taken all of it's trust and placed in a jar that Issa gets to stare at from her desk because she's surely not out in the field after last seasons mistakes. Although her intentions are usually good, things just aren't curling over for her at work and she is stressed about it! I predict that she will erupt soon and I definitely think that it will be on her boss. Yes, the same boss, who seemed to be on her side in the first season but not so much now. It seems like the pro-Black narrative that her boss works hard to push may just be all for show... hmm. 1. We Got Y'all - there's a hurricane coming and it is a category 4 hurricane named Issa. I predict that she's nearing the end of her rope with this job and not only will she start searching for a new one, she may even go off on her boss (who deserves it). 2. Molly - you're fighting a losing battle and Dro kind of pointed to that when he told you not to speak on him and his wife. Molly slow it down, you will not win and this seems like a game you're not fit to play anyway (which is a good thing). 3. Daniel - you have feelings for Issa, but you're tired of her games. I get it but you're on the road to ruining the friendship that you both have also! Slow down buddy. Be the friend that you've always been to the woman who loves you. 4.Tiffany, Derek and Kelli - I need information on Tiffany and Derek. How is the pregancy going? Is the baby even Derek's since y'all have tried but weren't able? What really happened when Derek got kicked out for a while "last year"? And who did Tiffany actually watch the Due North finale with? XXVIII: How Did I Miss This? How did I let this gem slip right past me? This show makes me laugh effortlessly, every episode. There are no words for how much I love this type of comedy and this type of story-telling. To say that I am now obsessed would an understatement. I literally listen to this show all day in the background while I'm working, and then I come home and watch it while I'm working out or falling asleep. Although I got the feeling that the character development was, at times, too focused on Pam & Jim, it was still a thoroughly enjoyable show. 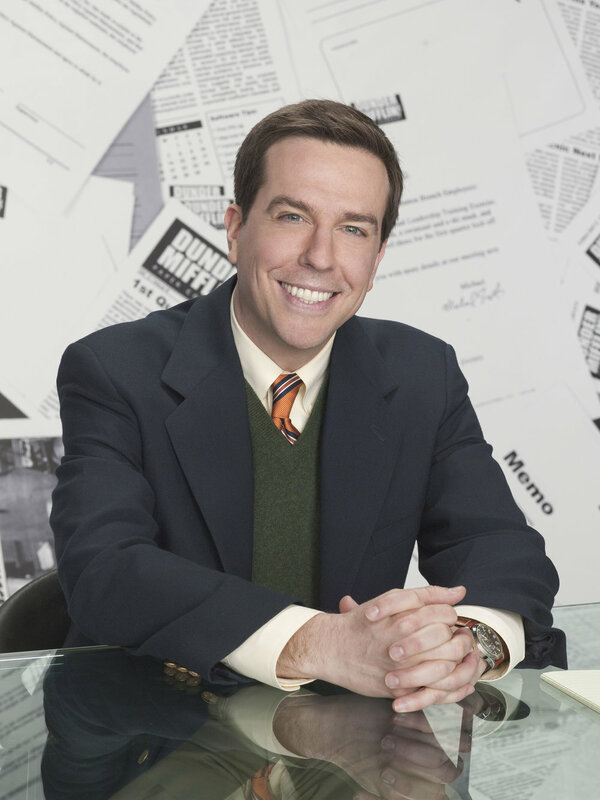 My favorite character came late in the show and it was the character played by Ed Helm, Andy. There's something about Andy that I cannot get over. Maybe as a lover of all things "musical", I just can't get enough of him and his need to sing. Maybe it's his dapper way of dressing (it could be this because Orange and Yellow are my favorite colors and he wears them all of the time). Or maybe it's the fact that he is absolutely insane. Whatever it is, he is my favorite! Back to Pam & Jim, it's not that I don't think that their love was adorable, because, of course it was! It was tiring but adorable. What woman doesn't want a guy to look at her the way Jim looked at Pam? What man doesn't want a woman to blindly support every endeavor just based on he fact that it was something that he was doing? Pam & Jim represent the love that every woman and every man deserve. Although, if I'm stuck loving at all, I want more of a Dwight & Angela story, as crazy as that sounds. Dwight, like me, has a weird way of showing how he feels. Throughout this show Dwight and Angela were on-again off-again and definitely took each other for granted. This is something we all do in our everyday lives. Dwight & Angela were the more realistic couple in this show and I lived for their union! If you can even get past how hilarious Dwight Schrute is and spark an understanding for him as a character, then you will get to see how truly amazing his character was. 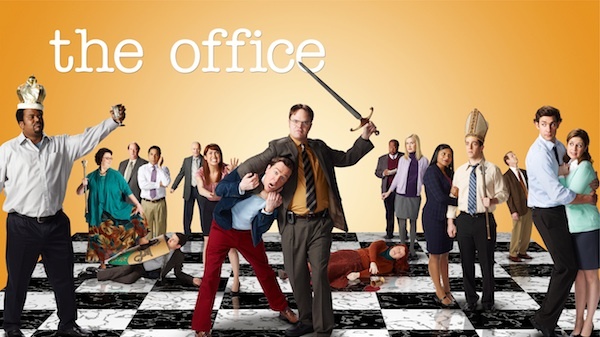 I wondered, a lot of the time, whether or not Rainn Wilson wrote his own lines for Dwight because how could it be possible for someone to play Dwight and not be connected? That may just be excellent acting, I have no clue, but Dwight's character was amazing from start to finish! I can't move on without mentioning the fact that the fire drill episode/the safety episode is my all-time favorite episode of this show. I cried laughing at this episode, and I literally watch it all of the time. This is comedic genius. The office, hands down, has stolen every piece of my heart. As a creative, I am always so shocked when someone creates something this big and this amazing! So, like many others, I got excited when the promotion for this show came on, but after the first episode, I just couldn't get into it. Big ups to Vaneska, however, for getting me to give this show a second chance! 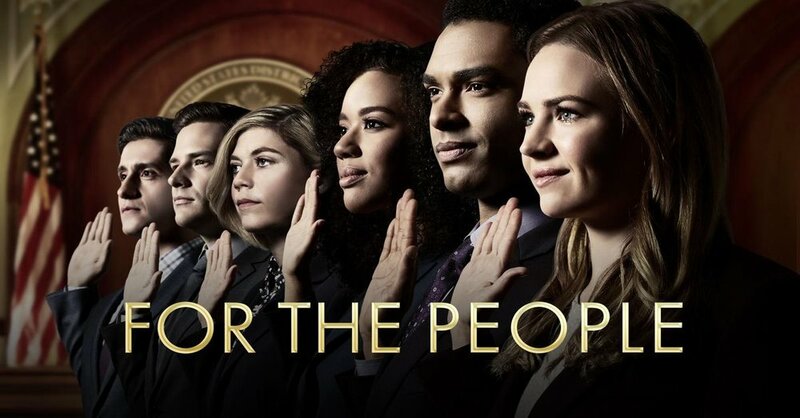 As a law student, I like to watch shows centered around law to see how realistic they are. This is one of the shows that comes pretty darn close especially when they are giving their closing arguments in the courtroom. I love that it provides a very good perspective of both a prosecutor and a public defender. Many people believe the surface level things about both prosecutors and public defenders without knowing anything else. They base their whole arguments on the nothing that they know about what it means to do these jobs, so I love that this show walks you through how each side feels. They walk through how they feel before a case, and after a case. It also shows how law literally becomes your life when you choose this field. I think that, if there were a contest to see which "law show" came closest to real life, then this one would win. Also, whoever is writing these closing arguments is killing the game completely. It inspires me. I do have a favorite character on this show as well and it is Kate Littlejohn. Kate Littlejohn is literally me minus her dating choices. She is well-dressed, takes no nonsense, and she is all about her job. She is driven by success and although her character has not fully been developed yet, she is still interesting. We see her going to work early and leaving late. We see her neurotic tendencies while in the office. And we see her setting people straight, laying down the law and being good at it. I aspire. One final thing that draws me to this character is the fact that she is honest. In today's world, no one is honest (not even with themselves). So, when I am honest about how I feel about a situation, or about what's going on in a situation, people get mad like they'd prefer to be lied to! This is a different breed from what I know because I refuse to lie and I DO NOT like being lied to. However, the fact that they made a character like Kate Littlejohn means that I'm not the only one that believes in being 123% honest at all times. It means that there's hope that I will meet people in the future that tell the truth just as I do, and I'm excited for this. So, again, how I've missed these shows for this long is beyond me! But, I am SO glad that I've caught onto them and now I can watch them over and over!